Home / Announcements / Happy international translation day! Every year on September 30, the worldwide translation community celebrates International Translation Day, which coincides with the feast of Saint Jerome–often thought of as the patron saint of translators. This year’s ITD theme (submitted by ATA President David Rumsey and selected by FIT, the international federation of translators) is Connecting Worlds. FIT’s press release notes that, “Whether it is in writing, in speech, or in the many facets of multimedia, translators, interpreters and terminologists are at the point of contact impacting on the development of business, science, medicine, technology, international law, politics – practically in all areas of human endeavour.” I think that there are very few professions that can truly claim to be critical to “practically all areas of human endeavo(u)r,” and I’m proud of all of us for being one of those professions. Happy ITD and happy translating! 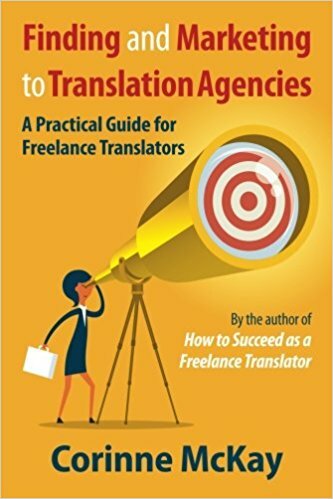 Upcoming session of "Getting Started as a Freelance Translator"
Happy Translation Day to you, too, Corinne. I love what we do. Thanks, Jonathan! Hey, “nearly all areas of human endeavour” applies to laundromats too! Thanks for this, Corinne. Connecting worlds indeed. With commitment. With passion. Happy Translator’s day to you! Happy Translator’s Day to you too! Happy translation day! Is there also a languages day or not?